Thanks to Evelyn Main for allowing the Allotment Society to use her image of one of her Grant ancestors. 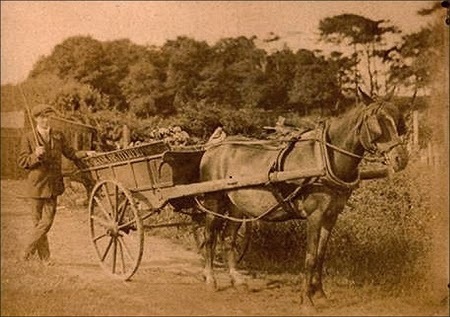 The image was taken in Mill Road at the market garden and the company transport bears the Grant name. Evelyn also posted this image on the Nairn when you were a bairn facebook group.